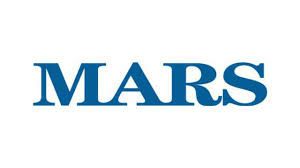 Mars, Inc. (Mars) is one of the biggest makers of candy and confectionery, pet food, and other food products with US$33 billion in annual sales (2012) and more than 80,000 employees. Headquartered in Virginia, the company is entirely owned by the Mars family, and is the sixth biggest, privately held company in the US. Mars operates in six business segments around the world: Wm. Wrigley Jr. Company (Chicago), Chocolate (New Jersey), Petcare (Belgium and Mexico), Food (California), Drinks (Pennsylvania), and Symbioscience (Maryland), the company's life sciences division. A key division of Mars is Wrigley - the world’s largest manufacturer and marketer of chewing gum, employing over 1,700 associates with operations in 40 countries and distribution in over 180 countries. Wrigley engaged Prescient to redevelop their intranet as the present intranet (Wrigley WIN) was not sufficient to meet the needs of the business. Prescient conducted an Assessment including extensive business requirement interviews, employee focus groups, a 1,366 response user survey (in 3 languages), and a heuristic and strategic site assessment. From this investigation it was concluded that the site sprawl, lack of personalization and customization, and a lack of collaboration and social elements made the intranet ineffective at providing a platform for communication and efficiency. Prescient worked with Wrigley to develop a plan that would address their needs in-line with Prescient’s Planning phase. This included the following components from Prescient’s methodology: strategy, governance, information architecture, wireframes, personas, content management plan, and intranet blueprint. Together, these plans provided a framework for Wrigley to begin implementing an intranet that effectively solves internal communication and efficiency challenges through improved business process and technology integration. The Planning phase reaffirmed issues that were brought up within the initial Assessment, that an effective intranet for Wrigley needs to be an enterprise-wide Mars standing in isolation from the remainder of the enterprise. Once the team came were convinced of this, the project morphed into a larger Mars initiative to build a true enterprise intranet to address all aspects of the global manufacturer. Prescient consultants leveraged their deep dive at Wrigley as a benchmark to better understand the broader enterprise. However, this dataset required testing across geographic regions (Global, North America, Europe, Middle East), segments (Wrigley, Chocolate, Drinks, Shared services, Nutro/Petcare, Banfield, Multi-sales), and organizational functions (sales, manufacturing, marketing, innovation, finance, etc.) to ensure the uniqueness of each employee-group. An exhaustive Assessment phase included more than 40 business requirement interviews, nine user focus groups, a research review, and a heuristic and strategic site assessment. The requirements gathering included in-person meetings and interviews at offices across North America and Europe as well as video conferencing and phone calls with many of Mars’ global offices. The final dataset from this phase found common issues across all employee segments including communications, searchability, information storage and tagging, accessibility, collaboration and knowledge sharing. “To create a robust personalized intranet that informs, connects and inspires Associates to do their best every day." Prescient completed the strategy with key goals, objectives and KPIs. Our consultants then composed the final version of the complete Unified Mars Intranet Strategy that would later be ratified by the strategy group. The strategy document, based on a solid foundation of research from both business leaders and employees, assisted Mars’ in reaching a strategy that addressed the real iwork and communications issues facing employees. The next step for Mars’ is to apply the strategy to complete a full plan and implement the solution. Prescient’s engagement prepared the team for the future intranet through education, best practices and a deeper understanding of the user needs. Through this training as well as the documentation, Mars had the foundation it needed to launch a successful intranet for the entire enterprise. To transform your intranet into an award-winning case study, please contact us directly or phone 416-926-8800.